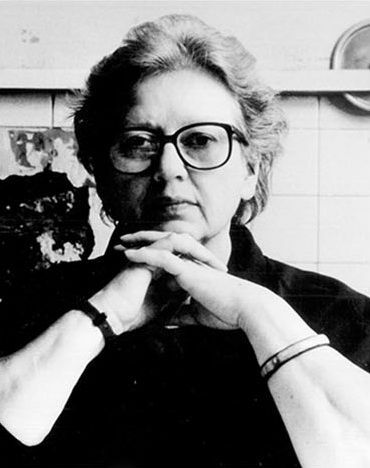 When the educational charity in memory to Jane Grigson was first proposed in 1990, it was envisaged that a library of books on food and cooking should also be created. It was thought that the book collection would grow slowly but steadily as a result of donations from food and cookery writers, editors, and reviewers. By the time the Jane Grigson Trust was founded in 1991, Sophie Grigson had made the generous gesture of placing the nucleus of Jane’s personal collection of food books on permanent loan to the Trust. These books form the unique core of the collection. The titles cover a wide field: from an eighteenth-century French treatise on butchery inspectors to Edward Bunyard’s Anatomy of Dessert. Copies of Jane’s own books are accompanied by some of her notebooks and working papers used in their preparation; there are unedited typescripts of many of Jane’s articles written during her long association with The Observer newspaper and there is some of her professional correspondence. The inauguration of the Jane Grigson Library was held at London’s Guildhall Library, the first home of the collection, on 10 December 1992. The ceremony was attended by many of Jane’s friends and colleagues. Caroline Waldegrave, Principal of Leith’s School of Food and Wine, gave the opening address. During the next decade, the Jane Grigson Trust received valuable donations of books from benefactors and several most welcome bequests. The Trustees are always happy to hear from intending donors. Since Jane Grigson’s death in 1990, the Trust’s library has also been augmented by a selection of recently published cookery and food books. These titles have been chosen for inclusion by the Trustees on the basis of merit and historical interest. By November 2005, when the Jane Grigson Library moved from Guildhall Library to Oxford Brookes University, the collection had doubled its original size to more than 4,000 volumes. At Oxford Brookes University the Jane Grigson Library is housed in the newly-built Special Collections Reading Room on the Headington campus, along with the archive of the Institute of Brewers and the magnificent collection of books on gastronomy that belonged to the late John Fuller. The Trustees are grateful to the following people or their executors for donations, bequests and grants to the Jane Grigson Library. Whenever possible book plates are affixed to each volume to show the name of the donor and/or the previous owner.